This is your typical Cinderella story, but for YA. The book writes itself and that isn't a bad thing, it just is what it is. Their is a handsome prince, but the girl has to go through some stuff to get to him. This is more than a love story, but a story about friendship and family. It is fast paced and can be read rather quickly. The characters are my favorite. They felt very relatable and down to earth as if you are entering their world. The plot was decent and I enjoyed the overall story. I give this book a 4/5 star. Thank you to the publisher for providing a complimentary copy. A favorable review was not required. 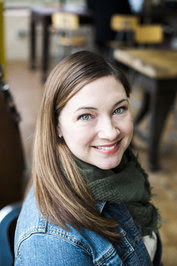 Christina June writes young adult contemporary fiction when she’s not writing college recommendation letters during her day job as a school counselor. She loves the little moments in life that help someone discover who they’re meant to become – whether it’s her students or her characters. 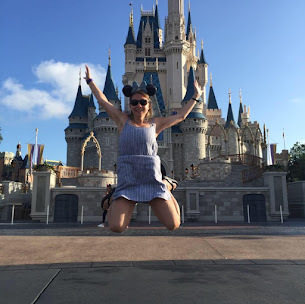 Christina is a voracious reader, loves to travel, eats too many cupcakes, and hopes to one day be bicoastal – the east coast of the US and the east coast of Scotland. She lives just outside Washington DC with her husband and daughter. 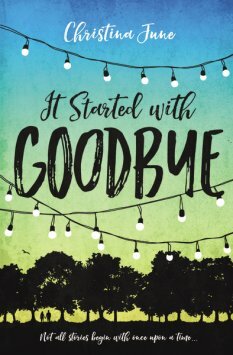 Her debut novel, IT STARTED WITH GOODBYE, will be published by Blink/HarperCollins in May 2017.